Rajasthan Trekking Hiking Walking (Hereinafter referred to as We/Us”) shall not be-held responsible for breach of any contract or careless actions or omissions on part of such suppliers, which result in any loss, damage, delay or injury to you or your travel companions or group members or to the luggage or personal belongings. Unless the term “guaranteed” is specifically stated in writing on your tickets, invoice or reservation itinerary, we do not guarantee any of such suppliers’ rates, bookings, reservations, connections, scheduling or handling of personal effects. We shall not be responsible for any injuries, damages, or losses caused to any traveler in connection with any Force Majeure events including but not limited to terrorist activities, social or labor unrest, mechanical or construction failures or difficulties, diseases, local laws, climatic conditions , Flood and Inundation , riots, criminal acts or abnormal conditions or developments, or any other actions, omissions , or conditions outside our control. Please note that we reserve the right to accept and cancel reservations for travelers who join escorted groups at our sole discretion without notice. Every attempt will be made to balance the group with the best interests of all travelers in mind. If during the reservations process, our team anticipates a negative outcome will result to fellow travelers or the tour may potentially be disrupted by a fellow traveler, the reservation will be cancelled and any penalties incurred will be the responsibility of the client. HOTELS:- are usually confirmed on a guaranteed payment basis. If you cancel or change plans, please notify your travel agent or to us well within time specified by us as per our policy. Policies and Rules may vary by property. TOUR/PACKAGE PRICES : are subject to change without notice due to currency fluctuations, tariff changes or increase in operational costs. In addition, group tours/packages are based on a Minimum Number of passengers traveling: if the number of passengers falls below the minimum required, a surcharge may be imposed on all passengers. CANCELLATIONS AND REFUNDS : We reserve the right to charge processing fees in the event of refunds, cancellations and other services. 50 % of the tour cost should reach us just after the confirmation of your booking. Balance 50 % payment must reach us at least 10 days before the start of the trip in case of fixed departures, otherwise one week before the departure. How do I get a refund after canceling my booking? On receiving the copy of Invoice, the refund shall be processed within 30 days from the date of receipt. Insurance of any nature in not covered in our prices, nor are such options available at the time of compiling this information. It is explicitly understood that the clients are booking the tours at their own personal risk. Your Proof of identity is required for all travel. Without proper identification, or passport and necessary visas you will not be permitted to depart. It is your responsibility to verify your necessary travel documents. In addition to the terms set forth above, neither RAJASTHANTREKKING.COM, nor its affiliates, information providers or content partners shall be liable regardless of the cause or duration, for any errors, inaccuracies, omissions. Each guest is advised to buy a travel and health insurance, as Trekking, Hiking & Walking will be at own risk. Insurance of any nature is not covered in our prices, nor are such options available at the time of compiling this information. It is explicitly understood that the clients are booking the tours at their own personal risk. You have understood and agreed that any representation provided in our Website and/or brochure and/or any other means may differ from the actual services or the locations and that you have deemed to waive any present or future dispute or claim with regard to the same as You have yourself and through your expert advisors have independently verified the actual services and locations. The contract between Rajasthan Trekking and You shall be subject to Indian Laws and shall be strictly governed by Indian Laws. In no case our liability shall exceed the actual remuneration in Indian Currency as per the value of the same at the relevant point of time paid to us by you and in no case the cost of any litigation shall be borne by us. 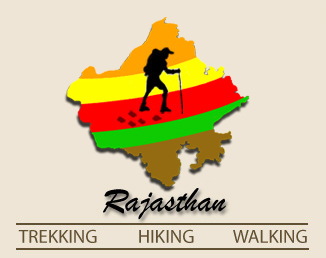 Any dispute arising out of the understanding and/or Contract between Rajasthan Trekking and You shall be solely subject to the Jurisdiction of the Courts in the City of Udaipur. NOTE: If you are travelling through your own travel agent or any of our partner agents, please contact them for advice, in case you need to know more details of any clarifications on above mentioned information. The information contained in this Web Site www.Rajasthantrekking.com has been prepared for the purpose of providing general information on Rajasthan for people interested in tourism, travel or adventure activities in the region, and is not in any way binding on its owners, Rajasthantrekking.com (A Unit of Rajputana Adventures). This Web Site has been compiled in good faith and suitable care has been taken to ascertain veracity of information provided in the site. Rajputana Adventures and www.Rajasthantrekking.com do not in any way guarantee or vouch for the accuracy of the information provided, nor is any warranty (either express or implied) given to the completeness or accuracy of the information it contains. Readers are, therefore, requested to verify the information from other sources before acting upon it. By accessing this Web Site, you agree that Rajputana Adventures and www.Rajasthantrekking.com will not be liable for any direct or indirect loss arising from the use of the information and the material contained in this Website. The copyright of the contents of this Web Site belongs to and remains solely with www.Rajasthantrekking.com and Rajputana Adventures. Accessing this site does not imply a license to reproduce and/or distribute this information in any form and you are not allowed to any such act without our prior consent. Rajasthantrekking.com is not responsible for any errors, omissions or representations on any links. The linked sites are not under the control of Rajasthantrekking.com & it is not responsible for the contents of any linked site or any link contained in a linked site, or any changes or updates to such sites. Rajasthantrekking.com is providing these links to the users only as a convenience, and the inclusion of any link does not imply endorsement of the site by Rajasthantrekking.com. All rights reserved by Rajasthan Trekking - Hiking - Walking.